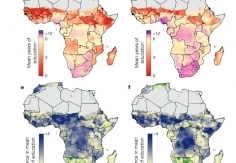 “The Africa shown in these maps tells a different story: one of measurable, steady progress on issues long thought intractable,” writes Former United Nations Secretary General Kofi Annan in this month’s issue of Nature. His commentary accompanies two studies published yesterday in Nature by the Local Burden of Disease team at IHME. 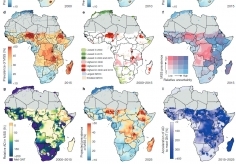 Covering 2000 to 2015, the studies map the entire African continent in 5x5 square kilometer units. One study finds that, while nearly all nations in Africa have at least one region where children’s health is improving, not a single country is expected to end childhood malnutrition by 2030, an objective of the United Nations Sustainable Development Goals (SDGs). The other study looks at years of education on the same scale. 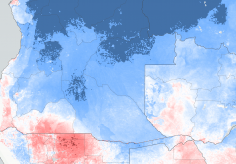 Mapping children’s growth and basic schooling at precise local levels gives stakeholders – from clinicians and teachers to donors and policymakers – insights into where to direct resources to improve lives in Africa. 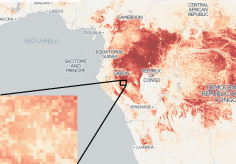 The Bill & Melinda Gates Foundation funded the study as part of a five-year grant that will enable IHME researchers eventually to map a range of health metrics globally in 5x5-kilometer units. The Local Burden of Disease project at IHME aims to produce estimates of health outcomes and related measures that cover entire continents, but to do so at a very fine, local resolution. Such estimates allow decision-makers to target resources and health interventions precisely, so that health policy decisions can be tailored for local areas rather than entire countries. Combining local detail with broad coverage – producing 5x5-kilometer estimates for entire continents and, eventually, the world – would give health officials everywhere the tools to make locally informed decisions and, in the process, help all people live longer, healthier lives.